Precast concrete is playing an important role in the three-stage upgrade of the Parramatta Leagues Club, most recently for the construction of its new seven-storey car park. Home to the illustrious Parramatta Eels rugby league team, the Parramatta Leagues Club is capitalising on Western Sydney’s proud sporting pedigree with a three-staged upgrade that is anticipated to be met with local and national acclaim. 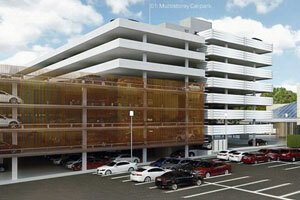 Stage 1 comprised the design and construction of a seven-storey carpark. 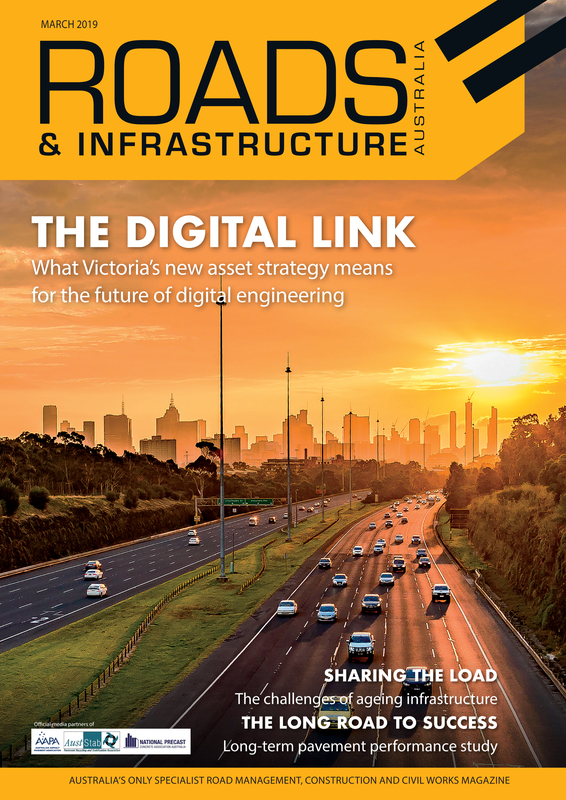 An upgrade from the previous 400-space carpark, the new carpark contains 773 car spaces, 27 motorcycle spaces and has provision for 44 bicycle spaces. Now complete, this stage intends to meet the parking demands of up to 15,000 fans that attend sporting games at Parramatta Stadium. National Precast member Hanson Precast has played an important role in the redevelopment of the club, having manufactured and installed 186 precast concrete balustrades for Stage 1. Hanson’s Estimating and Sales Manager, Richard Lorenzin, says opting for a precast solution was essential in order to meet the project’s design and quality requirements. “The design required a robust and durable building material because it acts as a safety barrier. Precast concrete was chosen because of its inherent durability and because of the superior finish that can be achieved,” Mr. Lorenzin details. The precaster manufactured $1 million of precast balustrades for the project, including 54 plain elements and 132 patterned elements that were cast using a formliner. “The balustrade panels were supported on formwork with protruding conventional reinforcement that was cast integrally into the in-situ concrete slab,” Mr. Lorenzin explains. All elements were manufactured with 40-megapascal off-white concrete mix, with six per cent titanium dioxide colour oxide. The patterned panels have a 30-millimetre vertical relief, while the plain panels have adopted a Class 2 off-form finish. To protect the precast balustrades from the weather and vehicle exhaust pollution, Nawkaw Australia’s photocatalyst coating was applied. Nawkaw Managing Director Tony Watling says the coating greatly reduces the maintenance requirements and expense of keeping the precast looking new. 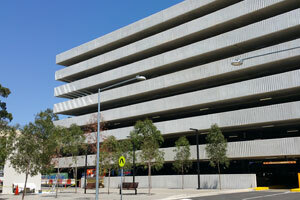 “The quality of the precast was fantastic, so the coating was applied on all exposed surfaces – including the inside of the carpark – to keep the concrete looking in top condition,” Mr. Watling says. Once the coating has been applied, surfaces become anti-static, reducing the adhesion of dust and other particles. Dust and dirt simply wash away with rain. Meanwhile, the coating also releases harmless by-products as it breaks down volatile organic compounds and pollutants from the air, thereby having a purification effect. “The protective nature of the coating also resists carbonation, extending the precast concrete’s already lengthy service life,” Mr. Watling says. The ability for precast elements to be manufactured off-site while other works continue is a major benefit of using precast and in this case, it delivered significant time savings for what is a time-critical stage of the upgrade. “Manufacture of the elements took approximately ten weeks and using precast saved approximately one month of the total program,” Mr. Lorenzin says.